Consider the Gruenfeld Defence in 2015 books. We know the Gruenfeld as a sharp opening after 1.d4 Nf6 2.c4 g6 3.Nc3 d5. Both sides play in the hope to win. You must be prepared. You need tools that help you understand how to play the Gruenfeld Defence. Books such as the ones below provide you with good ideas to improve your play. These books give you good ideas. My 12 days of Christmas is over, but I have more books to highlight. With this post, I return to my normal schedule of Monday, Wednesday, Friday. Grandmaster Avrukh covers all the Gruenfeld except the Exchange Variation 4.cxd5. 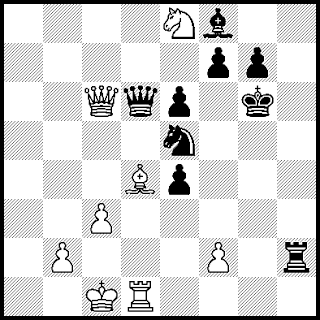 The author covers the popular Exchange Variation 1.d4 Nf6 2.c4 g6 3.Nc3 d5 4.cxd5. This provides a helpful service to update Gruenfeld players on new ideas in practice. This details the possibilities after 3.f3 vs the Gruenfeld or the King's Indian Saemisch. The ninth day of December we consider the Nimzo-Indian, Queens Indian, Bogo-Indian and the Catalan in chess books. 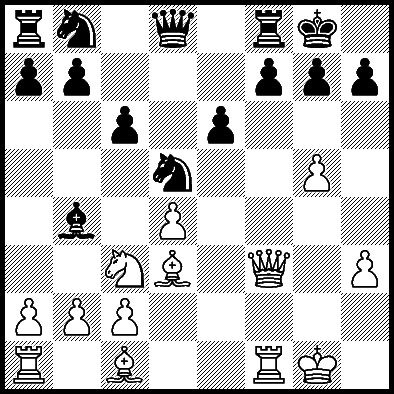 In response to the planned White set-up of 1.d4 and 2.c4, Black plays 1...Nf6 and 2...e6. Black's strategy is to develop the king's bishop classically. Many grandmasters play this openings from both sides of the board. How do they hope to win? By discovering tools they understand better than their opponents. You must be prepared. Books such as the ones below provide you with good ideas to improve your play. These books give you good ideas. This is a welcome update edition of Grandmaster Avrukh's popular repertoire. A full-time chess teacher explains for you one of the most popular defenses. 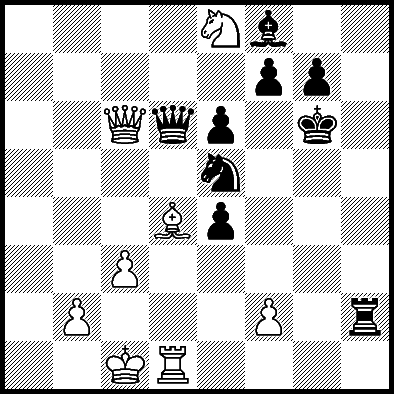 The author provides a reliable repertoire for Black after the 1.d4 Nf6 2.c4 e6. A famous openings expert gives his grandmaster advice one move at a time. A fighting spirit gives you a higher rating. Your opponents do not all resign quickly just because you show up. You need to make good moves. Just let the result happen. Don't cut it short. Before my rating surged past 2000 I was timid when playing stronger players. Once I learned to not offer draws my rating went up. George E. Fawbush had a fighting spirit and almost never agreed to draws. GEF won frequently. He lost sometimes. He always fought hard. In my Caro-Kann Defence in the 4.c4 Panov Variation vs George Fawbush, I got a good position with the 5...g6 Gruenfeld type line. White chose the sharp 6.Qb3 idea but he went wrong ten moves later. Probably I offered the draw. I imagine Fawbush agreed because he stood worse. The other issue was that this game came from a Tennessee Chess Association event where he may have determined that he was not going to win. Five years later I beat Fawbush in a game analyzed by Arthur Bisguier. I enjoyed the "Pawn Sacrifice" movie about Bobby Fischer. The chess was accurate in its flavor and presented critical moves. Tobey Maguire as Fischer and Liev Schreiber as Boris Spassky fit great. Key characters are Regina Fischer (mother), Joan Fischer (sister), Carmine Nigro (teacher), Paul Marshall (lawyer), Father Bill Lombardy (grandmaster) and a girl ("Donna"). "Based on" movies slightly alter history to sell the best story instead of being a boring documentary. Here they built up Boris Spassky to make him a rival at Varna 1962 and world champion at the Piatagorsky in California a few years before he won the title. Actually, at Varna 1962 Fischer drew world champion Botvinnik on board 1. Spassky was on board 3. The star was Tigran Petrosian on board 2 who later beat Botvinnik in 1963. Petrosian defended his title beating Spassky in 1966. Boris Spassky did not become world champion until 1969. In 1971 Fischer had to beat Petrosian to play Spassky. Boris Spassky's famous crush of Fischer in 1960 and draws they played prior to 1972 did not make this story. Nothing is said of Pal Benko stepping aside to give Fischer his cycle spot. They do not mention that Fischer was higher rated in 1972. Minor details. The movie has Fischer resign Game 1 dramatically after sacrificing his bishop. In reality, Bobby played on for a long time and almost drew it. Fischer took a lead in the match on Game 6 with 1.c4 which he only played a few times before. Boris Spassky applauded the win. Here is that Queens Gambit game.